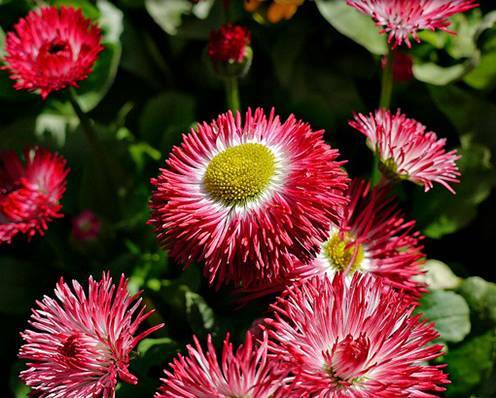 (Bellis perennis) Best grown in cool temperate climates in a sunny or part shaded open position and soil that must remain moist during the growing season. The genus name is derived from the latin 'bellus' meaning pretty. The leaves and extracts have been been used in herbal medicines to treat wounds.